Can Alassane Ouattara, Ivory Coast’s new president, save his country? When Laurent Gbagbo was dragged out of his hole beneath the presidential residence in Abidjan, Ivory Coast, wearing a white vest and a bemused expression, it seemed on the surface a fitting end to his country’s miserable post-election stalemate. The recalcitrant strongman who would not step down was humbled, but not dead. The Republican Forces rebels, who had been opposing Gbagbo for months, took a live captive, and they denied their vanquished opponents a martyr. Despite Monday’s theatrics, however, Alassane Ouattara—the internationally accepted winner of last year’s disputed election and now Ivory Coast’s president—is not yet out of the woods. His situation remains profoundly challenging, even if he is no longer confined to Abidjan’s Golf Hotel, where U.N. peacekeepers guarded his parallel headquarters for months during the standoff. Crucially, despite the international consensus that Ouattara won last year’s poll, in Ivory Coast itself, the picture has always been different. While to the wider world Gbagbo is irredeemably cast as a petulant refusenik, within the country, his substantial support—he garnered 46 percent of the vote at November’s polls—persisted throughout the post-election crisis. Thousands of youths in Abidjan answered a call in March to join the army, and support was also sustained by a torrent of propaganda on state media. Indeed, President Ouattara may now find himself with tremendous moral capital abroad—not withstanding the reported atrocities committed by rebel forces sympathetic to his cause, which must be investigated—but he faces a much more fractious constituency at home. How he manages the challenges posed by his own people will dictate his future as president—and the future of his country as it reels from the recent crisis and other, more deeply seated problems. The president’s first task in the short term is to splint the divisions that erupted after the election—an enormous challenge. He must seek to assert his authority, while striving to bring on board those who fought against him. But there is no correct way to proceed in such work; assessments of who to rehabilitate and who to purge are subjective and bound to cause resentment in both camps. 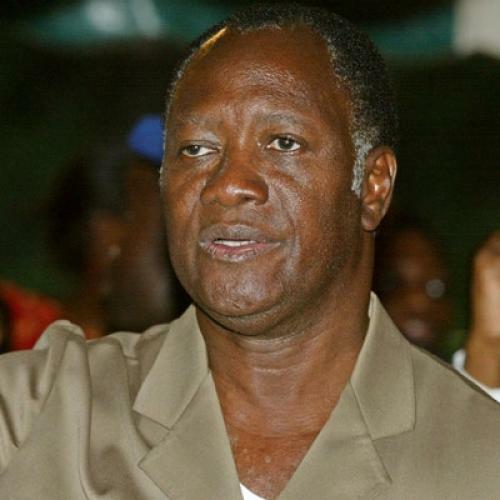 For instance, Ouattara was photographed shaking hands with Gbagbo’s erstwhile military chief General Philippe Mangou, but if confused reports from Friday prove accurate, he also arrested Charles Blé Goudé, the leader of the former president’s thuggish Young Patriots militia, which is bound to anger some Gbagbo supporters. What’s more, Ouattara will have to contend with allegations of neo-colonialism: the suggestion that the French installed him as a puppet. After all, the French with their helicopters and Licorne force made the capture of Gbagbo feasible (although they claim it was Ivorians themselves who arrested the former president). Ouattara must also put his own house in order. When I met Republican Forces rebels in the far west of Ivory Coast a few weeks ago, shortly before their headlong advance on Abidjan, their commander insisted his men were operating under Ouattara’s civilian authority. But how robust the president’s control over these fighters was or is remains unclear. That ambiguity is significant because there are credible indications that the rebels committed atrocities, notably in the western town of Duékoué. Ouattara, for his own survival as well as his own personal moral reckoning, needs to show that post-war justice is not of the victor’s variety. As he attempts reconciliation, however, Ouattara has the relative brevity and nature of the conflict on his side. For Ivory Coast’s population, the four-month impasse after the election was far too long. Ivorian refugees I interviewed in eastern Liberia recently, men and women who had walked through the bush for days to escape fighting, cared more about peace than politics after their ordeal. But, by the standards of Africa’s often-lengthy civil wars, December to April is short, even when viewed in the context of a decade of instability that included a civil war that began in 2002. Moreover, certain parts of what will in all likelihood be known to history as the Second Ivorian Civil War also resembled a Clausewitzean, old-fashioned conflict, rather than the disorganised brigandage that is often the stuff of African fighting. The rebels advanced toward Abidjan, taking and holding territory. There were atrocities, but there was also a front line. There is some chance that such a conflict will prove easier to come to terms with than the internecine slaughter of other sub-Saharan wars. Yet there are deeper challenges, much older than the election crisis, that Ouattara must also grapple with. While from an outside perspective, the Ivorian post-election conflict condensed to a simple morality tale of an elected winner and an immovable loser, internally, the Ouattara-Gbagbo standoff was the small, albeit internationally visible, portion of an iceberg, whose submerged bulk consisted of less easily resolved issues. Most notably, there is the potent concept of “Ivorité,”the notion of who is a true Ivorian, which casts the descendants of migrant laborers from other African countries as second-class citizens and has stoked land disputes in the western part of the nation. The most high-profile casualty of the “Ivorite” concept was Ouattara himself, once disqualified from running for president on account of his father’s Burkinabe (from Burkina Faso) extraction. Then, there is the tension between the Christian south and Muslim north of Ivory Coast. As in much of West Africa, ethnic boundaries run east-west, while national borders, themselves a relic of colonial boundaries, run north-south. Since its 2002 civil war, Ivory Coast has effectively fractured along the latter. Gbagbo drew his support from the south, while Ouattara’s powerbase is rooted in the north—and the division will likely continue, despite Gbagbo’s arrest. How will Ouattara do, juggling all of these issues? Only time will tell. Domestic, regional, and personal obstacles—including the seductive nature of presidential power in Africa—won’t be easy to tackle. Ouattara stands on the high ground now, but he is only at the very beginning of a long and inevitably arduous road. He has won the war; the greater challenge will be for him to win the peace. Simon Akam is Reuters’ correspondent in Sierra Leone. You can find him at www.simonakam.com.